It is hard to believe these spectacular organic sculptures are made entirely from matchsticks, but it's true! 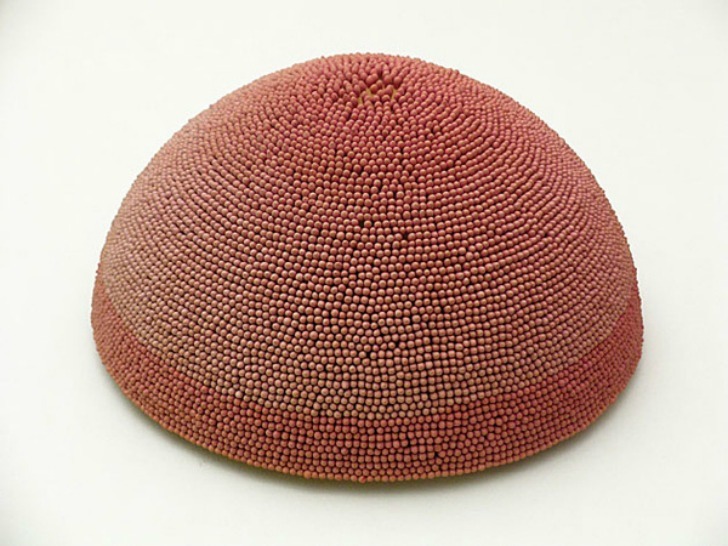 Brothers Ryan and Trevor Oakes create these shell-like artworks using thousands of matches. The Colorado-born twins represent natural processes that occur over millions of years in their sculptures, and they go to great lengths to develop a precise curve or spiral that reflects forms found in nature. 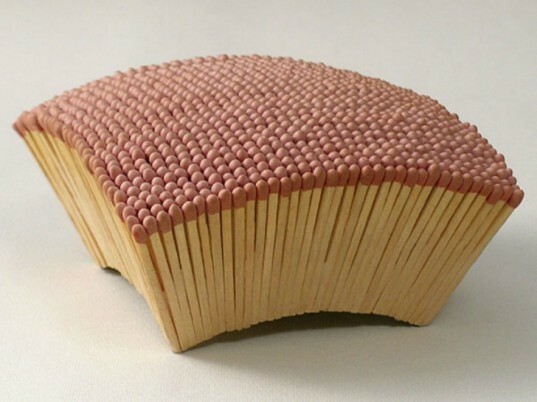 Ryan and Trevor Oakes model their matchstick artworks on “iterative structures” that surround us in the physical world. Within their work they try to present a sense of these continuous repetitions that occur around us in the form of bricks, blades of grass, and footsteps. They are therefore not only preoccupied with the natural world, but the manifestation of these patterns everywhere. Many of the Oakes brothers’ works revolve around this theme, but the material changes in a dynamic way depending on what they are representing. The artists experience with a range of materials – from cardboard to pipe cleaners – creating new shapes and forms inspired by everyday objects. Ryan and Trevor Oakes model their matchstick artworks on "iterative structures" that surround us in the physical world. Within their work they try to present a sense of these continuous repetitions that occur around us in the form of bricks, blades of grass, and footsteps. Ryan and Trevor Oakes model their matchstick artworks on "iterative structures" that surround us in the physical world. Within their work they try to present a sense of these continuous repetitions that occur around us in the form of bricks, blades of grass, and footsteps. They are therefore not only preoccupied with the natural world, but the manifestation of these patterns everywhere. They are therefore not only preoccupied with the natural world, but the manifestation of these patterns everywhere. Many of the Oakes brothers' works revolve around this theme. The brothers work with different materials and techniques to represent different natural phenomena. The artists experience with a range of materials - from cardboard to pipe cleaners - creating new shapes and forms inspired by everyday objects.